Thanks to your support, now over 77,000 developers rely on OneSignal to power notifications for their websites and mobile applications! Over the past few months, we've been working hard to add a ton of new features and improvements. Importantly for mobile developers, OneSignal now supports all iOS 10 notification features. OneSignal's documentation has been re-written from the ground up. The documentation now features detailed tutorials and guides on how to use each of OneSignal's powerful features. It is now possible to filter the All Users page by Segment. This makes it easy to see exactly which users were recently active, bought in-app purchases, are in a specific country, and much more. 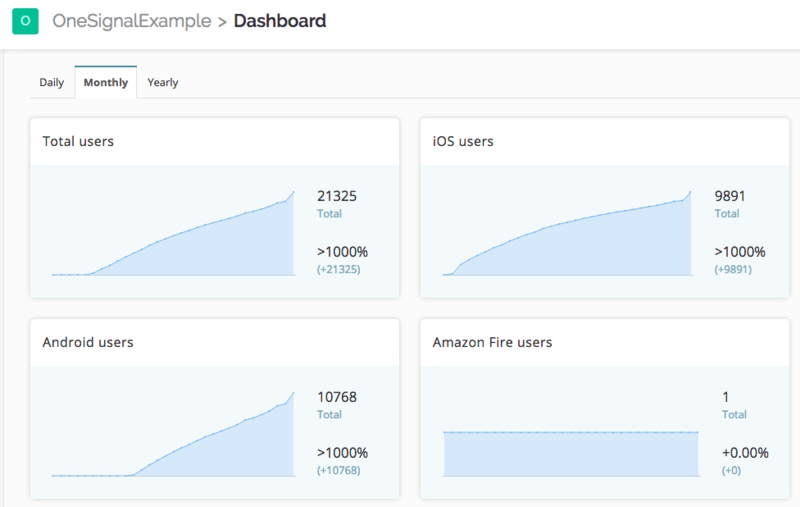 The OneSignal dashboard will now show you the monthly, daily, and yearly growth of your website or application. OneSignal's Web Push setup process has been simplified. Web Push for Chrome no longer requires a Google Server Key, making it even easier to get things set up. OneSignal's first-party iOS SDKs now support all iOS 10 notification features! You can read about how to use the latest iOS 10 improvements here. OneSignal's native SDKs, as well as SDKs for Unity, Ionic, Phonegap, and other platforms have received many more major upgrades. Added support iOS 10 rich notifications. Session counting is now more accurate. Launch URL now default to opening in a pop-up webview instead of Safari. Support for iOS 6 was dropped. Only devices with iOS 7 and newer are supported. OneSignal will now detect and show an error message for 'No Push Token' issues when the Push Notification capability is not enabled for the app target. This is a common mistake developers make with XCode 8. Added a new optional method that sends OneSignal the user's email as an anonymized hash so that we can better target and personalize notifications sent to that user across their devices. In-App Alerts are now shown by default when a notification is received while the app is open. This behavior can be fully customized. If you are upgrading from the Native iOS SDK with a version of 1.x, please follow our upgrading guide. Fixed "Out of Date Google Play Services" errors. Devices can now be as old as version 4 of GMS. Added more informational messages to the OneSignal All Users page for different types of subscription issues. Badges are now supported on newer Sony launchers. We also added Huawei launcher support. Android notification sounds can now be disabled by setting the sound field to a null value. manifestApplicationId no longer needs to be set, default applicationId is now used. PostNotificationResponseHandler.onFailure now always returns a JSONObject with an error. If you're upgrading from a 2.x version of our Native Android SDK, please follow our upgrading guide. 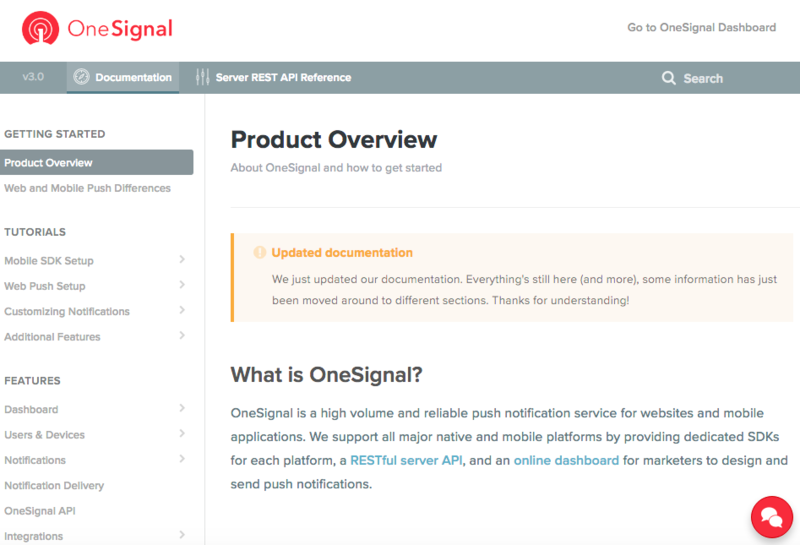 The OneSignal Notification API now supports Filters. Filters are a powerful way to target users, allowing you to use both data that OneSignal has about a user and any Tags your app may send OneSignal. Filters can be combined together to form advanced, highly precise user targeting on fields including language, location, user activity, and more. 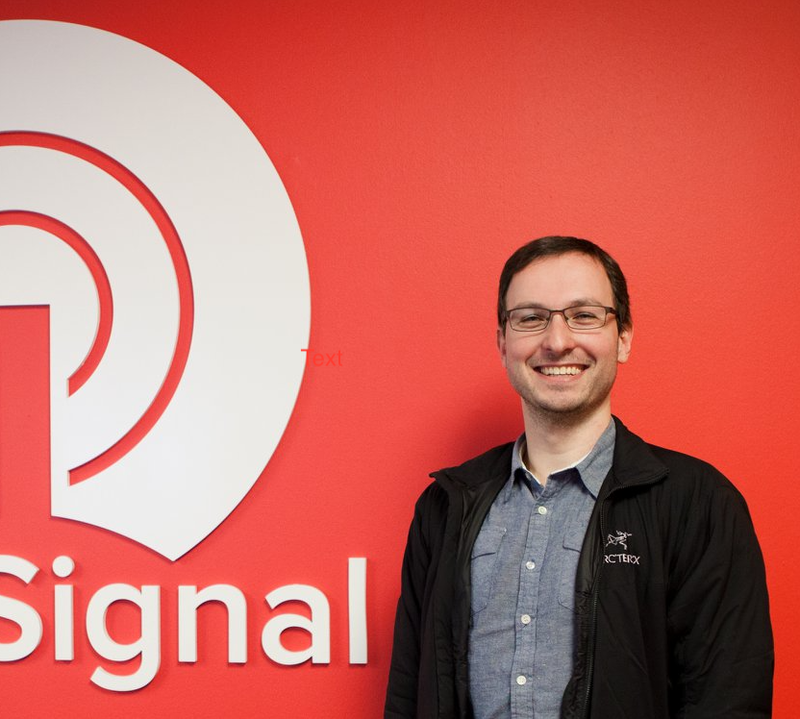 We hope you take full advantage of the new features added and please reach out to us if you have feedback or suggestions to help make OneSignal even better.